Mike Hervey is Director of Navigant’s Energy Practice, in the firm’s New York City office. Since joining Navigant in early 2013, he has performed end-to-end analyses of business processes, culture, work practices, and geographical differences across energy service companies. Before joining Navigant, Mr. Hervey was Chief Operating Officer and Acting CEO of the Long Island Power Authority. Rising customer reliance on energy for daily needs. More dramatic weather patterns. A heightened sensitivity to the costs of extended utility outages. Regulatory pressures growing more intense. Each of these factors is driving utility asset owners increasingly to consider formalized programs for utility system hardening. 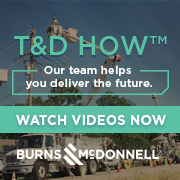 Recent events - including hurricanes, ice storms, derechos, and even fires - have shown that regulators and customers will no longer tolerate extended electric system outages. The political, regulatory, and customer outcries during, and after, each major prolonged outage incident are growing at an ever-increasing pace. Yet relatively little is actually being done to harden electric systems in most areas of North America. Several states, including Florida, Texas, Oklahoma, and Kentucky, have forged the the way with prescribed regulatory requirements, many of which have existed for some time. However, the regulatory environment around utility system hardening remains cautious and inconsistent. When considering a system hardening program, utilities should ask a wide range of questions: Which programs will provide the best outcomes for the optimal spend? What should our hardening priorities be? And, what costs can be recovered in rates?